Mikal is a friendly Onu-Matoran native to Metru Nui. Mikal lost memories of his previous life on Metru Nui and his body was reduced in size and strength as a result of being confined in a Matoran Sphere. He helped in the building of Onu-Koro, working under Turaga Whenua's supervision and using materials from the disassembled Airships that had been used by the Toa to transport the Matoran to Mata Nui. 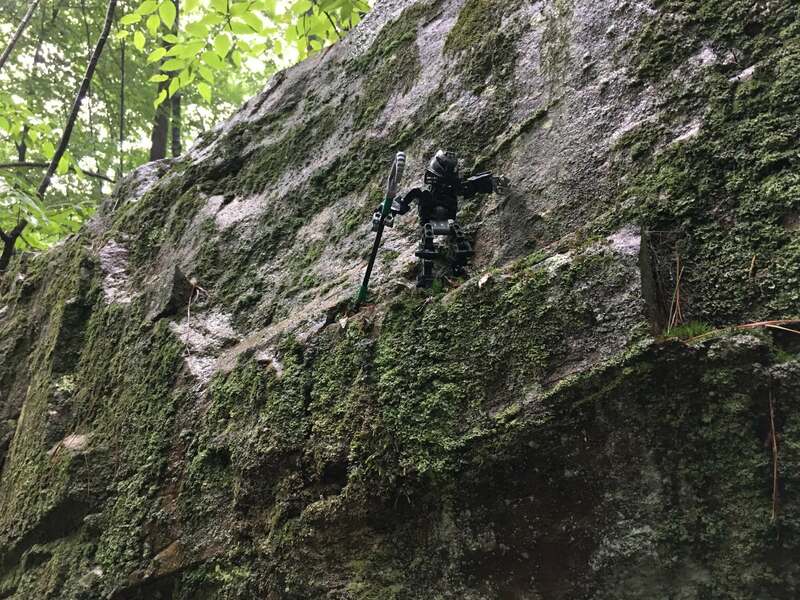 [BW] While on Mata Nui, Mikal lived in a hut in the cliffs of Ga-Wahi just outside of the Onu-Ga-Highway. Mikal was an artist, and spent a lot of his time traveling the island and painting. Like all Onu-Matoran, Mikal could see in the dark, and was stronger than Matoran of other elements. 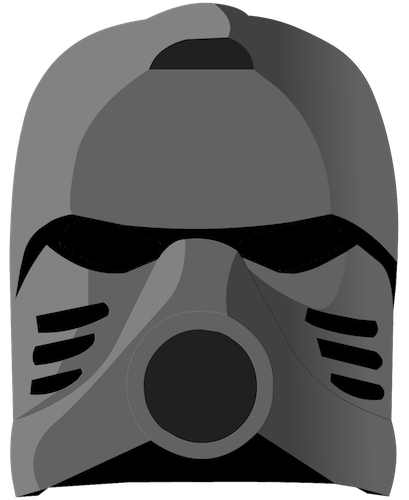 Mikal wore a powerless Great Kanohi Kakama. On Metru Nui, Mikal generally used a regeneration Kanoka, code 675, to repair damaged portions of the Archives. 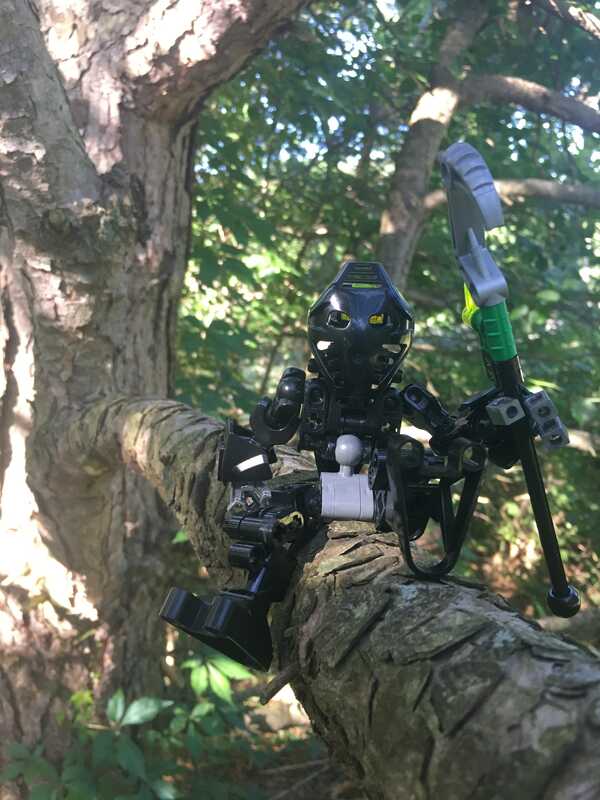 On Mata Nui, he was given a hooked staff by his friend, a Le-Matoran named Paputo. Mikal's rebuilt design is originally from Bionicle Maskposting member Jim Seropian. 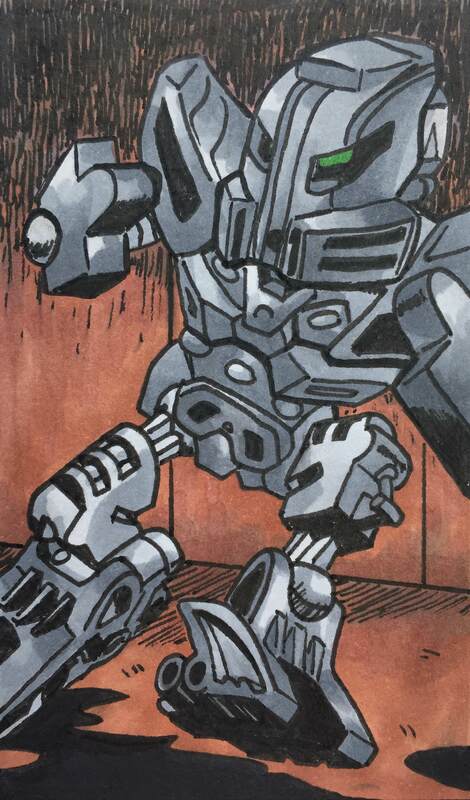 Mikal never canonically appeared in any BIONICLE media, as he is StarShucker's self-MOC. This page was last edited on 17 August 2018, at 21:32.